In the 2003 Grutter v. Bollinger University of Michigan Law School affirmative action case, Sandra Day O'Connor declared on behalf of the majority of justices that, 'We expect that 25 years from now, the use of racial preferences will no longer be necessary.' 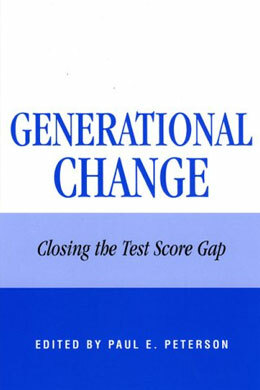 As this amounts to no less than a mandate that affirmative action for college admissions must end by the year 2028, the research in this book examines the progress that must be made in the one generation to fully close the black-white test score gap. The authors draw upon the best available research in considering a broad range of policy alternatives - accountability, school choice, preschool programs, and greater resource commitments - to identify what is most likely to create an educational system that enables all students, regardless of their racial and economic background, to achieve at equal levels. The result is an historic volume that will shape the debate over education reform for years to come.